Subaru Toowong is located in Brisbane’s inner city suburb of Toowong. We’ve grown steadily year on year since 1997 and today Subaru Toowong is Queensland’s largest Subaru Dealer and one of the top Subaru Dealers in Australia. Range – We have access to a range of over 1000 used cars – all shapes and sizes. Our quality used vehicles have all undergone a comprehensive inspection at one of our authorised service departments by factory trained technicians. Ease – Simply select the vehicle you want, send us an enquiry and leave the rest to us! 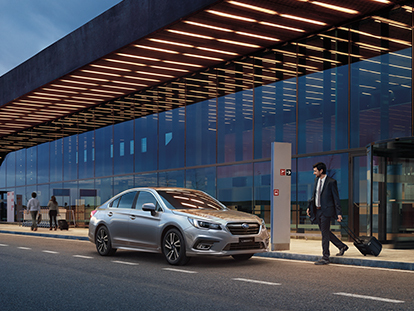 Security – Vehicles accredited under the Subaru Assured Used Vehicle Programme are guaranteed to have been thoroughly checked to ensure the vehicle’s integrity. Convenience – Our vehicles also come with the convenience of all our service centres in Brisbane where we can provide immediate authorised warranty repairs and servicing. You will feel safe and secure in buying a vehicle from us!